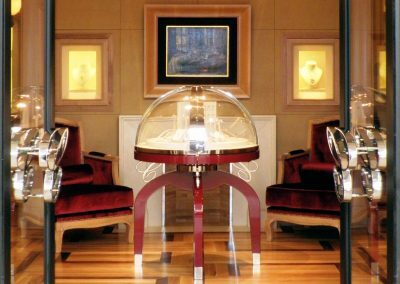 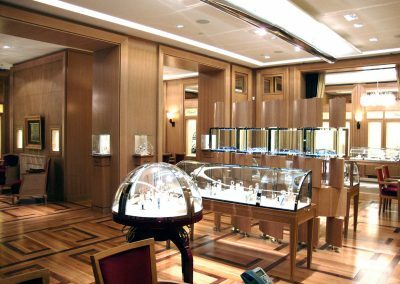 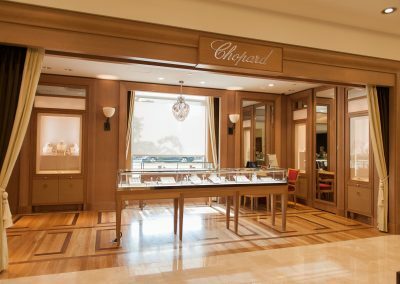 Chopard boutiques glitter with exotic materials set into an intricate framework, in a fashion similar to the watches and jewelry they exhibit. 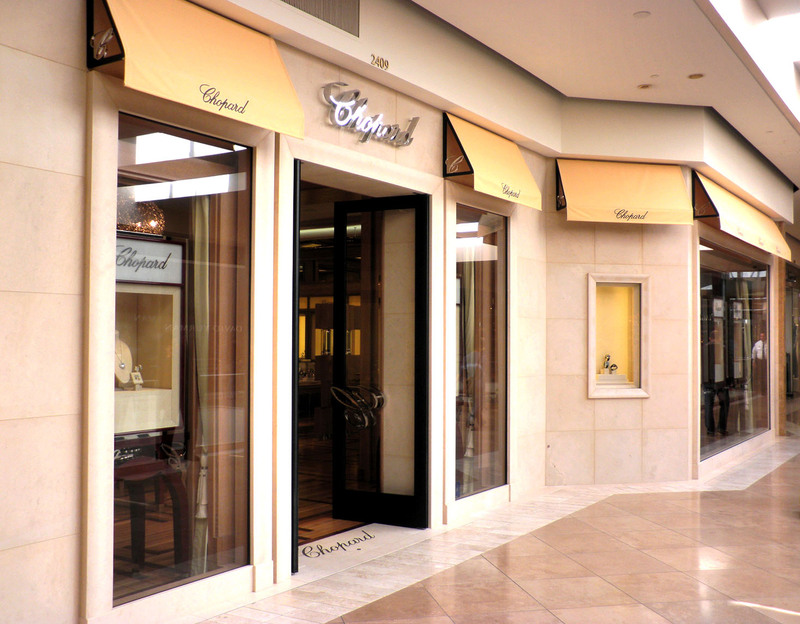 The limestone façade serves as a perfect backdrop to focus attention on the finely appointed display windows. 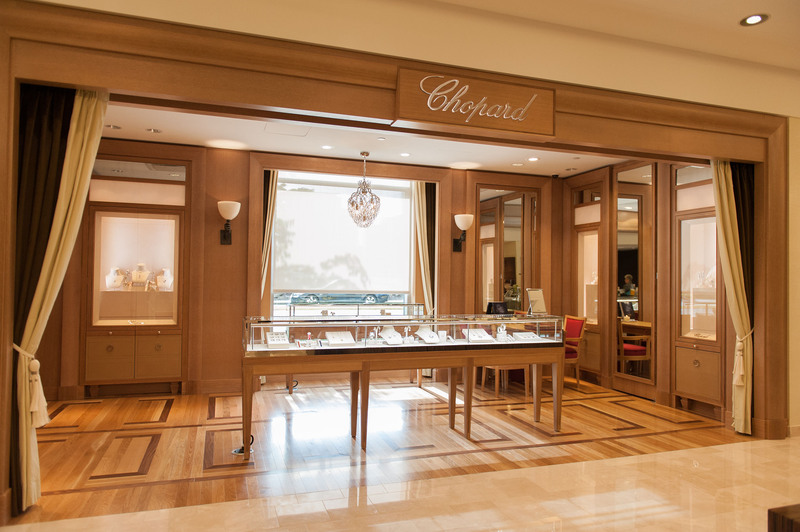 The shopper is welcomed across a stone threshold inlaid with the Chopard name in metal script. 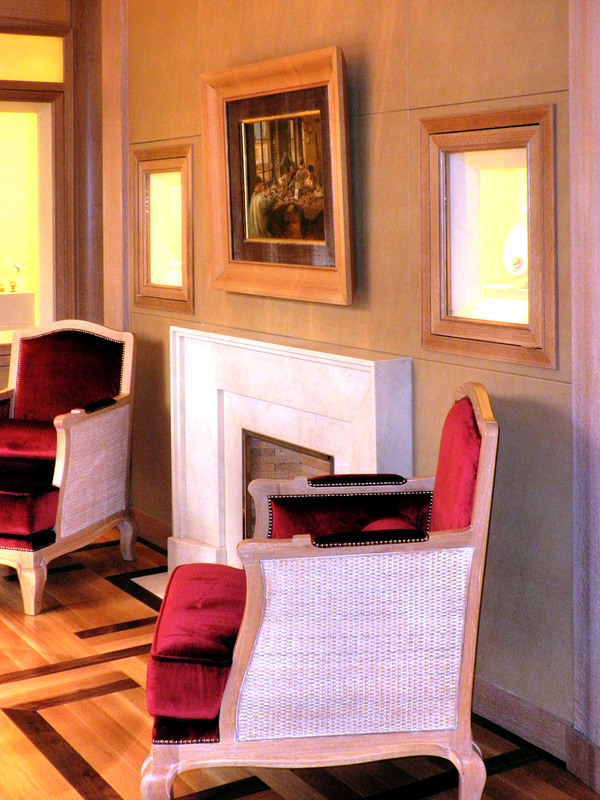 The interiors are richly decorated with parquet flooring, cerused oak paneled walls, and antiqued mirrors. 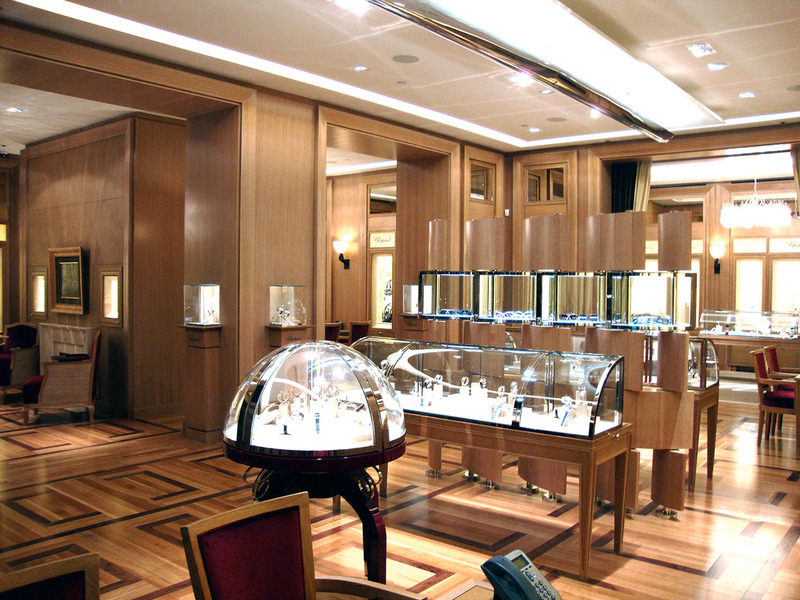 Showcases are sculpted from curved glass with nickel accents. 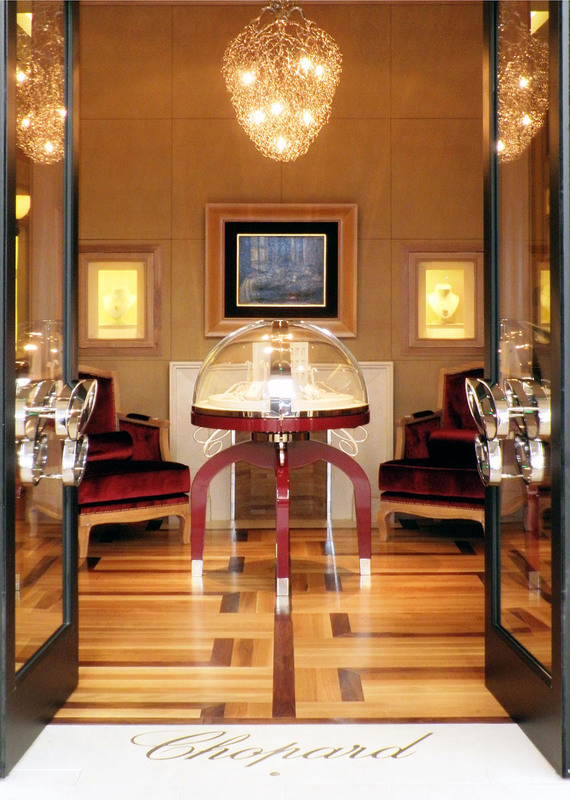 Lighting from custom chandeliers and wall sconces provides drama. 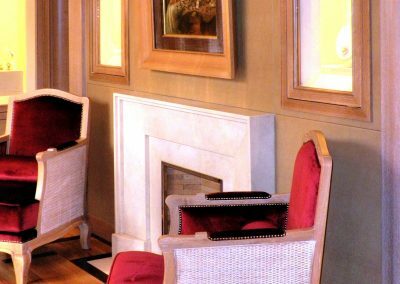 The finishing touch is the velvet seating which flanks the warm fireplace in a setting evocative of a lush home living room. 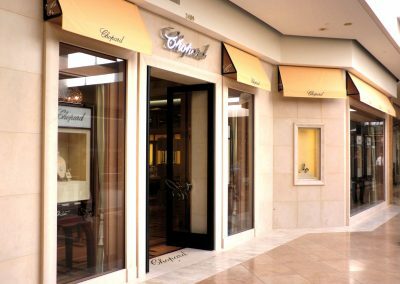 Gruen Associates is also the Architect for two shops in Aventura, as well as Bal Harbour, Bellevue, Houston, and Las Vegas locations.